There are a number of great reasons why you should Shop Local and spend your money within our own community. The money you spend with businesses within your city will provide the much needed tax revenue for your local government . These taxes pay for things like Police, Fire-Medical, Street Maintenance, and our Community Parks! Case studies have shown that for every dollar spent locally, at least 30% of that dollar is injected back into the community. This translates into more jobs, higher property values, lower residential taxes, a more affluent community and a reduction in the impact to the environment. Receive Special Deals and Promotions from Local Surprise Merchants Directly to Your Phone! Get advance notice of new restaurants, grand openings and win prizes . 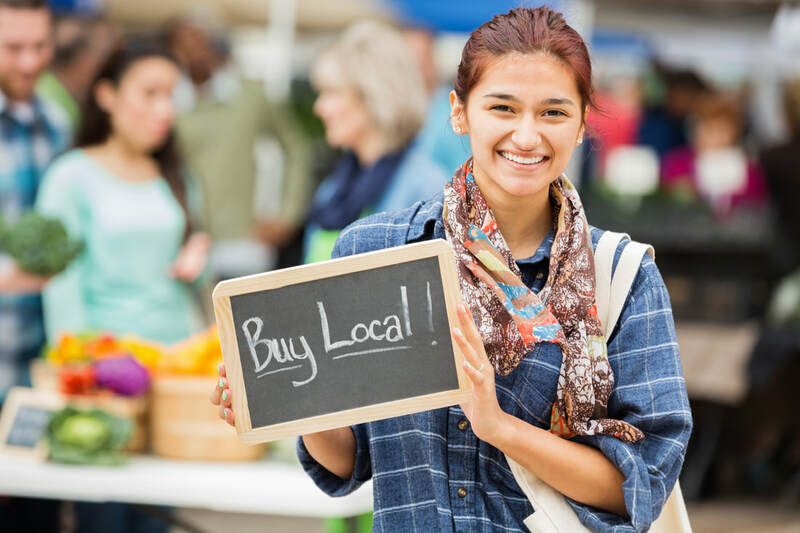 Several studies have shown that when you shop local significantly more of your money is used to make purchases from other local businesses, service providers, and farms, which continues to strengthen the economic base of the community. Nonprofit organizations receive on average 250 percent more support from smaller business owners than they do from large businesses. Local businesses in town centers require comparatively little infrastructure investment and make more efficient use of public services. The taxes paid by local businesses help support the police, fire and recreational services for the the city you live in. A marketplace with lots of businesses is the best way to ensure innovation and low prices over the long term. A multitude of businesses, each selecting products based on local needs with a desire to serve local customers guarantees a much broader range of product choices. 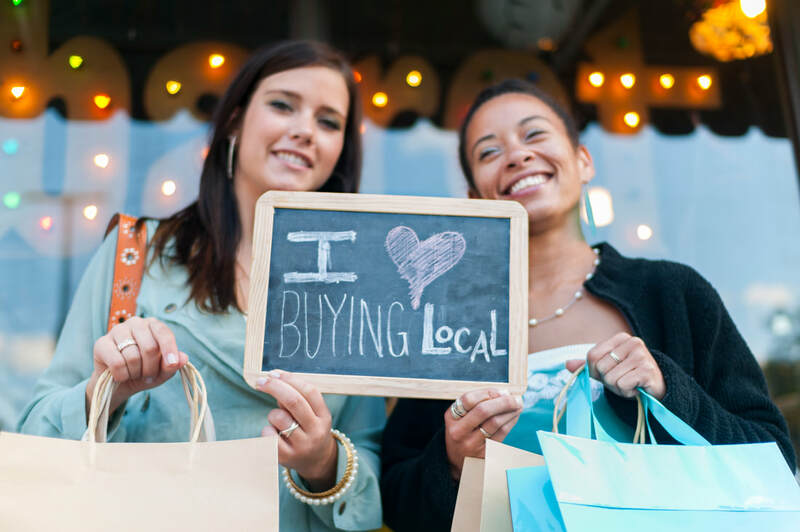 Shop Surprise/Shop Local is business retention and expansion (B.R.E.) program of the Surprise Regional Chamber of Commerce. The Chamber B.R.E program recruits local businesses to participate in an in electronic/digital promotional marketing campaign that distributes coupons/discounts to residents. The program encourages and educates residents to shop and buy from local merchants. The BRE program promotional elements include business education, social media, website, digital SMS text marketing and email. Special text deals are the sole responsibility of the business and may only be redeemed by individuals who have opted-into the program. Deals have specific limitations: expiration dates, not redeemable for cash, not valid on previous purchases, cannot be combined with other coupons and void if copied. Deals also limited at the sole discretion of the business making the offer. The Chamber does not endorse businesses, products or services. Information about our Shop Surprise/Shop Local customers is never shared with third parties. 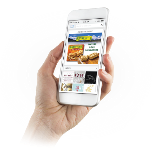 By entering your mobile # you agree to receive Daily Deals from local merchants and other marketing messages from the Surprise Regional Chamber of Commerce. Your consent to receive deals and communications is not a condition of making any purchase. Message and data rates may apply. In order to qualify for our drawings, you must opt-in into Shop Local digital deal program. No purchase is required. By opting in you agree to receive 3-5 text messages per week. Contest are open to legal residents where not prohibited by law, who are eighteen (18) years of age or older at the time of entry who have opted in the Shop Surprise/ Shop Local digital text marketing program. All prize winners are required to pick up their prize at either the Chamber or the merchant’s place of business. Prizes not picked up after thirty days are forfeited. No cash equivalent will be offered in substitution of prize. Employees of the Chamber and their immediate families are not eligible to win. The Chamber reserves the right to postpone, reschedule, delay, and/or modify the contest dates and/or method of entry at any time. Winners allow the Chamber to use their name, voice and/or likeness for advertising and promotional purposes without additional compensation. Entrants submitting images for contests allow the Chamber to use said images/photos for promotional means on its website or display in publicly accessible archives; such selections will be made at the sole discretion of the Chamber and its authorized representatives. Odds of winning are based on the number of Shop Surprise/ Shop Local opt-ins. All winners will be chosen at random. ALL FEDERAL, STATE AND LOCAL TAXES ASSOCIATED WITH THE RECEIPT OR USE OF ANY PRIZE IS SOLELY THE RESPONSIBILITY OF THE WINNER. The Chamber reserves the right to change or alter the official rules, the method of entry and/or prize(s) without prior notification. The Chamber keeps your phone number information confidential and will not make your phone number address available to any other company or organization. If you do not wish to receive text messages, please reply to your message with the word “stop”.